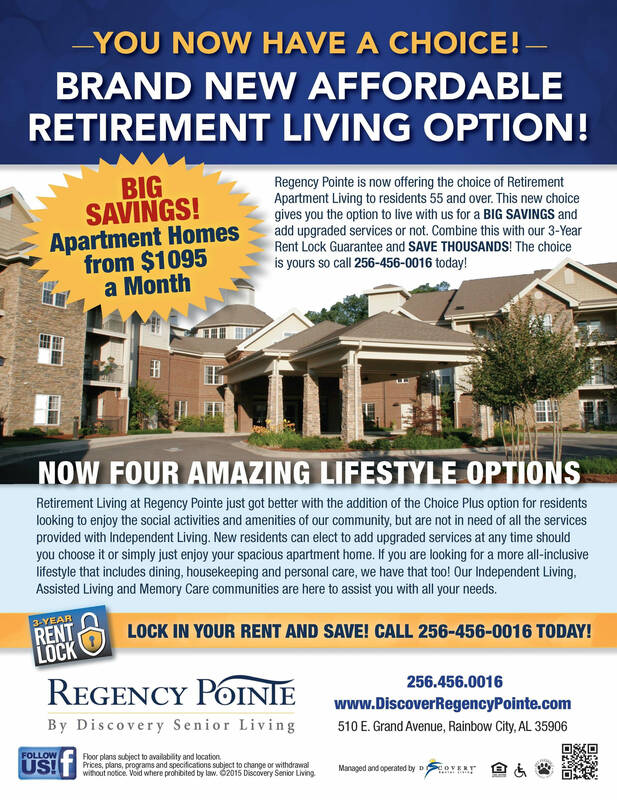 Regency Pointe is now offering the choice of Retirement Apartment Living to residents 55 and over in Gadsden / Rainbow City. This new choice gives you the option to live with us for a BIG SAVINGS and add upgraded services or not. Combine this with our 3-Year Rent Lock Guarantee and SAVE THOUSANDS! The choice is yours so call 256-456-0016 for more details today! 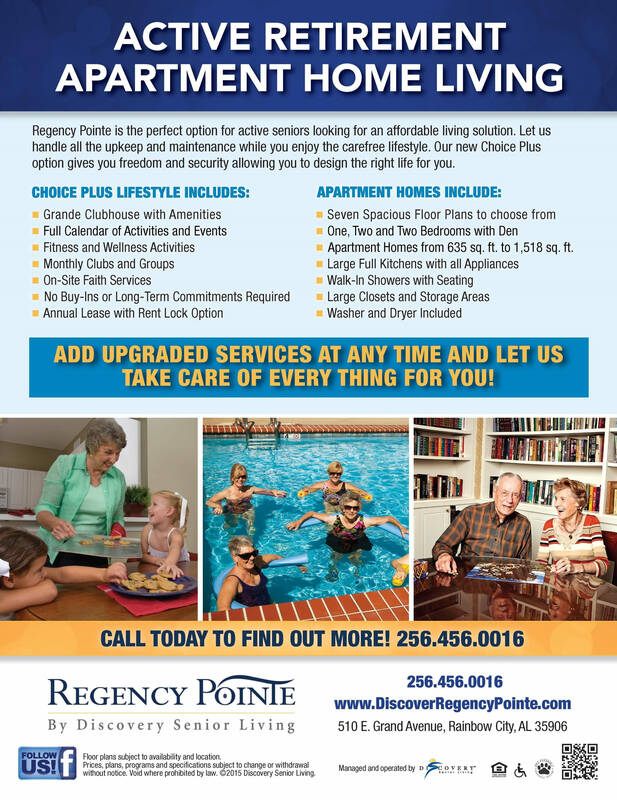 Retirement Living at Regency Pointe just got better with the addition of the choice Plus option for residents looking to enjoy the social activities and amenities of our community, but are not in need of all the services provided with Independent Living. New residents can elect to add upgraded services at any time should you choose it or simply just enjoy your spacious apartment home. If you are looking for a more all-inclusive lifestyle that includes dining, housekeeping and personal care, we have that too! Our Independent Living, Assisted Living and Memory Care communities are here to assist you with all your needs.